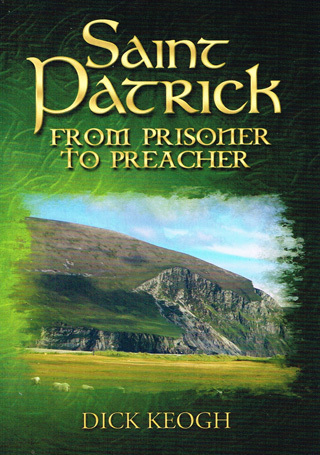 When Patrick stepped off the boat and set foot on Irish soil for the first time, he arrived as a prisoner. The prisoner would soon become a slave. What a traumatic experience for this teenager who, just a short while previously had enjoyed a relatively carefree lifestyle. He was born in Britain in approximately AD 390, during the days of the Roman occupation. His grandfather was a Priest in the Christian church and his father, Calpurnius, a Deacon. Patrick’s father was also an official employed by the Roman administration and he owned an estate. One day, a band of Irish raiders attacked the estate, killing some of the servants. The rest of the servants, along with Patrick, were captured and taken to the boats. As the boats crossed the sea on their way to Ireland, Patrick, now a prisoner must have wondered if he would ever see his home or family again. Would he ever be reunited with his loving parents? What would become of him now? So many questions must have been on his mind as the boat docked and he stepped ashore to face an uncertain future. His captors were Irish pirates who made their living by supplying the lucrative slave trade with men, women and children they had forcibly taken from their homes. They made no hesitation in conveying Patrick and his fellow prisoners to the slave market. There in that place of wickedness and depravity these unfortunates were put on public display. They were considered to be mere pieces of merchandise by those who inspected them. They were offered for sale as slaves to the highest bidder. Many potential purchasers regarded slaves as being of no more value than horses or cattle.